Engineered for precision, AltRider is in the business of producing hard parts for your off-road or adventure motorcycle. TeamZilla has had some experience with Alt Rider parts up close and personal on our own motorcycles. After dumping BMW R1200GSs for 3 days at RawHyde Adventures, we really have nothing but good things to say about the protection and durability these parts have to offer. From Ducati Multistrada to Suzuki V-Strom, to BMW K1600 GT, AltRider has parts made specifically for your ADV or Touring bike. Some of the most common pieces include crash bars, skid plates, and luggage racks. However, they throw in the oddball parts like the GS potentiometer guard or Injector Protector. All of these items are made in the USA and machined with laser-cut attention to detail. Not only are the parts themselves created with care, but the installation instructions, replacement hardware, and customer support are all maintained with the utmost excellence. Alt Rider even includes Loctite where needed to make sure you have everything you need to successfully complete your installation. 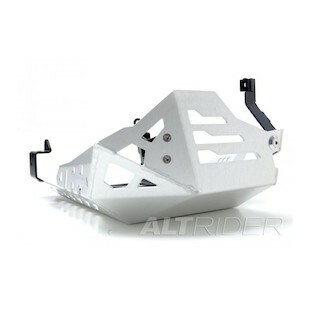 If you are in the business of pushing your ADV bike to the limit, we highly recommend taking a look at AltRider to protect your two-wheel investment. We have certainly benefited in the "ahem", VERY FEW, "cough" times we've had the opportunity to test their durability.